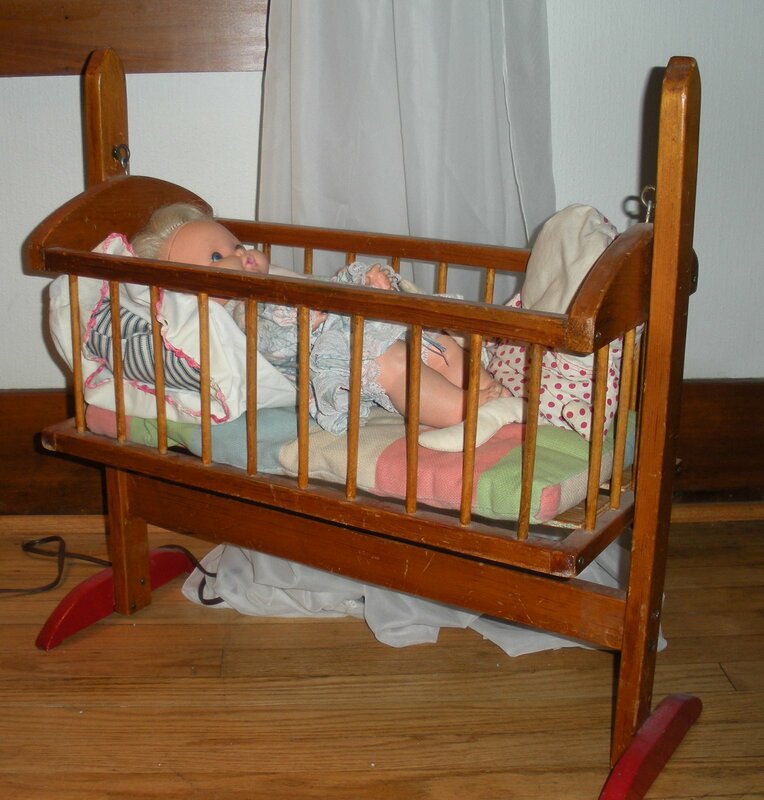 My Grandpa made this cradle for me and my dollies almost forty years ago. Grandma made the striped mattress, pillow and pillowcase with embroidered edging on it to complete the gift. The doll and stuffed Humpty Dumpty that now reside there are a few toys I still have from my childhood. This is one of the boards that supports the mattress. 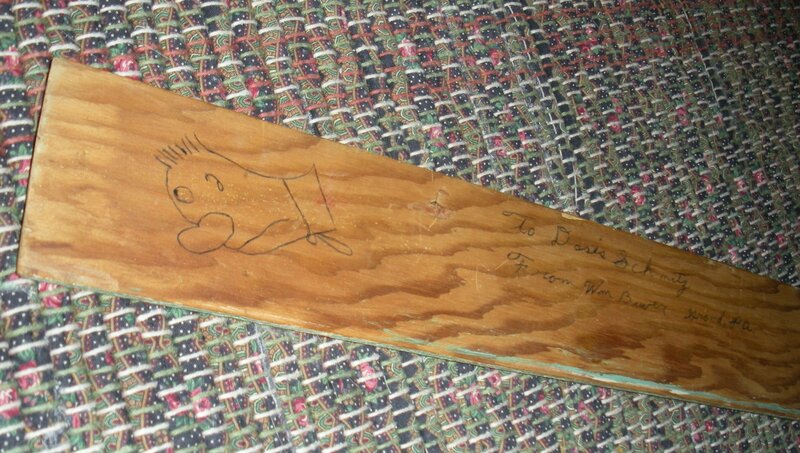 There are doodles of Grandpa’s in ball point pen on the bottom of each, as well as his inscription to me. He drew these characters on everything. I think they might be from Fibber McGee & Molly, his favorite radio entertainment. This is probably my most prized possession. It has traveled with me from home to home, apartment to house. It’s something I would definitely grab if I had to flee the house in a fire! For the other posts in this meme, go to Melissa’s site. What a treasure!gosh, it’s Wednesday already…how did THAT happen? Priceless! I am green with envy. And, I have to laugh, because I have that exact same Baby Tenderlove doll from when I was little. wow, that is something to be cherished. of course the very first thought to pop into my head was “that doll needs a quilt”! the answers to this weeks this is have been so much fun to read.